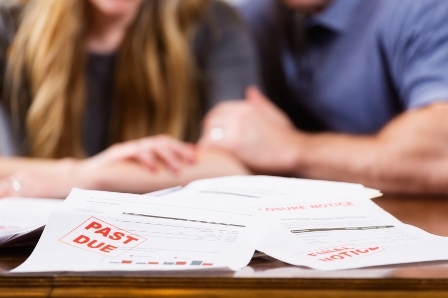 The average mortgage debt in Canada increased to $181,000 from $175,000 since last fall, according to a recently released Manulife Bank study. The highest average mortgage debt can be found in Vancouver ($259,000), Calgary and Edmonton ($217,000), and Toronto ($194,000). The study also found one-third of homeowners were "caught short" at least once last year and failed to cover expenses. Manulife suggests Canadians work with an advisor to get a better handle on their finances. But when it comes to mortgage debt, a mortgage broker can be just as effective. "Our research has consistently found that becoming debt-free is among the top financial priorities for Canadian homeowners. They must also find a balance between debt repayment and saving for retirement so they don't end up house-rich and asset poor," Rick Lunny, president and chief executive officer at Manulife Bank of Canada, said. "The best option is to work with an advisor to get a plan in place well before retirement to balance debt repayment, retirement savings and day-to-day spending." The bank also suggests tapping into home equity to help with retirement. Again, that’s an area of expertise for brokers that many Canadians may want to seek. "If you reach retirement with significant home equity but limited savings you may need to adjust your thinking if you wish to stay in your current home," said Lunny. "Your home is your castle, as they say, but it's also a significant financial asset that you should take into account when planning your retirement income. “With a conservative, disciplined plan, borrowing against your home equity can be an effective, low-risk way to supplement your retirement income while still enjoying all of the benefits of staying in your current home." Perhaps Canadians wouldn't have to struggle if they didn't have those vehicle payments that nobody talks about, including the Federal finance dept. If Canadians are struggling to make payments with all-time low mortgage and interest rates, what will happen to this country when rates rise to the historical average of 6 to 7%??? It means interest rates must be cut further even to negative.